From the end of the 19th century until his death, one of history's most brilliant mathematicians languished in an asylum. 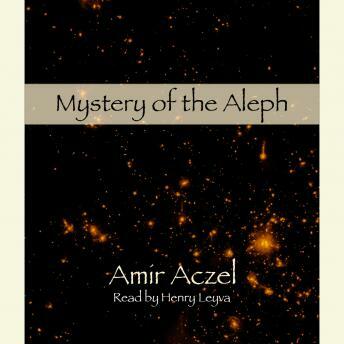 The Mystery of the Aleph tells the story of Georg Cantor (1845-1918), a Russian-born German who created set theory, the concept of infinite numbers, and the "continuum hypothesis," which challenged the very foundations of mathematics. His ideas brought expected denunciation from established corners - he was called a "corruptor of youth" not only for his work in mathematics, but for his larger attempts to meld spirituality and science.